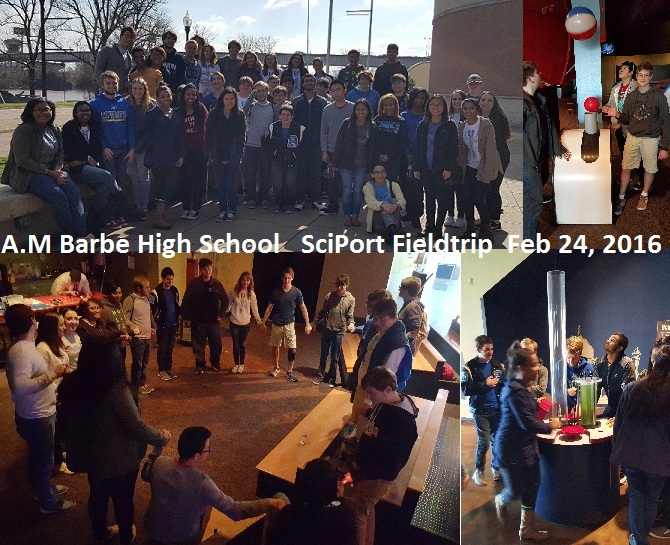 ChemClub members, AP Chemistry, AP Biology, and AP Physics students from Barbe High School in Lake Charles, Louisiana, explored the Sci-Port Discovery Center in Shreveport, Louisiana, in February 2016. Thanks to an ACS ChemClub Community Activities Grant and contributions from other sources, the students were able to take a Hotard Charter bus for the 3 1/2 hour trip to Shreveport. Students had the opportunity to explore hands-on activities for life science, environmental science, mathematics, astronomy, physics and of course, chemistry! Sci-Port has hundreds of different activities, exhibits, demonstrations, and simulators that allow visitors to exploreat their own pace. Previous Post A BIG NCW Celebration!